With so much buzzing on campus, during the summer months JSerra Blog decided to feature some of the great athletes working hard. 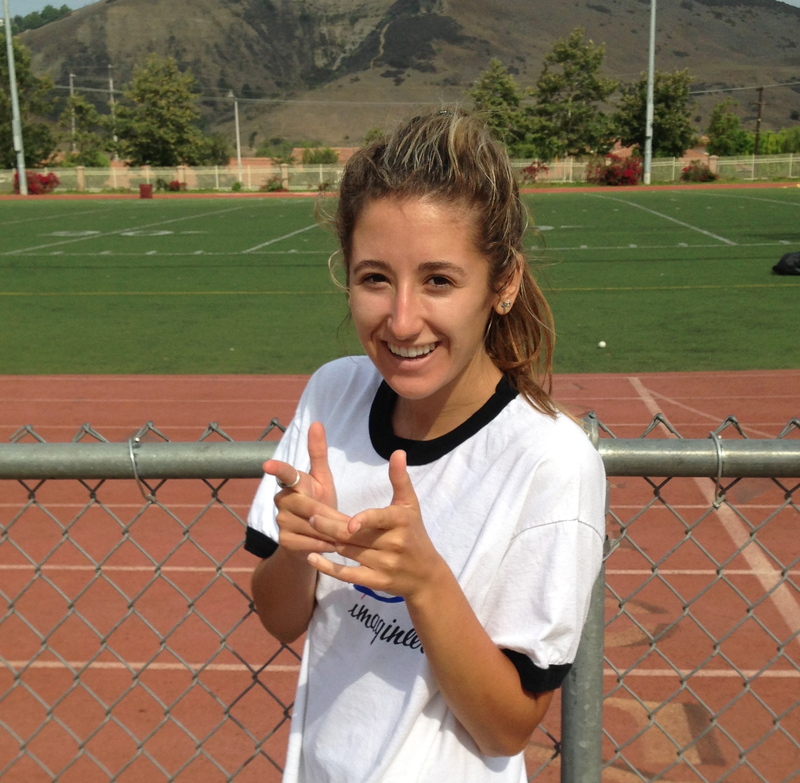 This week JSerra Blog catches up with cross-country senior and San Clemente resident, Kylee Fracassi. JSerra Blog (JB): How did you get interested in running cross-country? Kylee Fracassi (KF): I actually tried cross-country because my brother ran, and ended up staying because I loved it. JB: Greatest athletic memory thus far? KF: My greatest memory, that I don’t think I could ever forget was winning the State Championships two years in a row. It felt so great to have all our hard work pay off. JB: What do you look forward to this upcoming cross-county season? KF: I am really excited about getting to know more of the girls on the team and making great memories. And, of course I’d like to win State again. JB: Any exciting summer plans? KF: I’m looking forward to being a camp counselor at the Special Camp for Special Kids, and going to Mammoth with our cross-country team. Summertime isn’t just about running for Fracassi, she also finds time to volunteer at the Shea Center, and is a member of the Habitat for Humanity Club and the Environmentality Club at JSerra. The All-League athlete hopes to run for Texas Christian University after leaving the hallowed halls of JSerra. “Kylee is fiercely competitive and driven,” said Coach Marty Dugard of Fracassi’s skills on the track. For more on the running lions visit them on Facebook.